The action in The Golden Age takes place between 1939 and 1945 in a variety of settings including the Tasmanian bush, an upper-class garden, a hospital, and Berlin in the final days of the war. There are 18 characters, who wear more than 40 costumes during the play. We talked to set and costume designer David Fleischer about how he has approached this exciting, complex production. Photographs and other reference materials David found when researching adorn the walls of the rehearsal room. “In terms of the costume designs for this lost group, we are exploring how the 1850s clothing they would have had to begin with might have been transformed through 90-odd years without outside influences or the ability to gather much in the way of new materials. 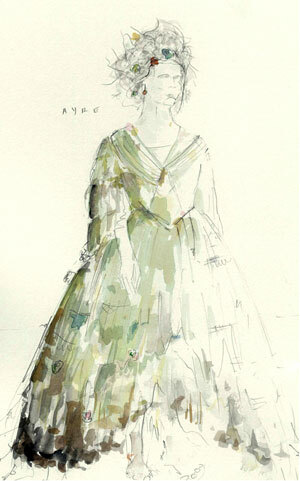 Their costumes are recycled assemblages of period clothing. The way I think about it is that these characters are wearing clothes that don’t strictly belong to them. For example, a jacket worn by someone actually belonged to their father or someone else who happened to be part of the first generation of the group. 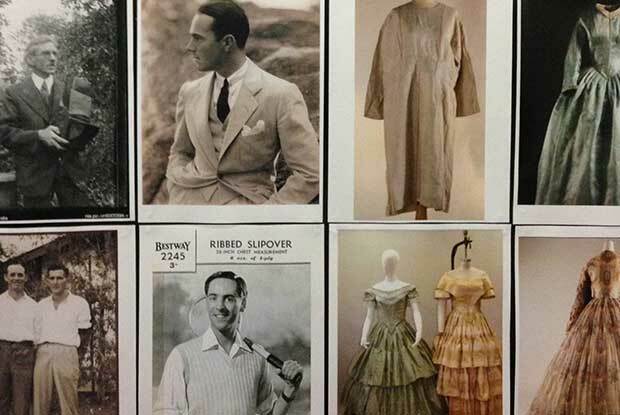 “The costume design is staying very true to the era of the text. The piece is a period epic. 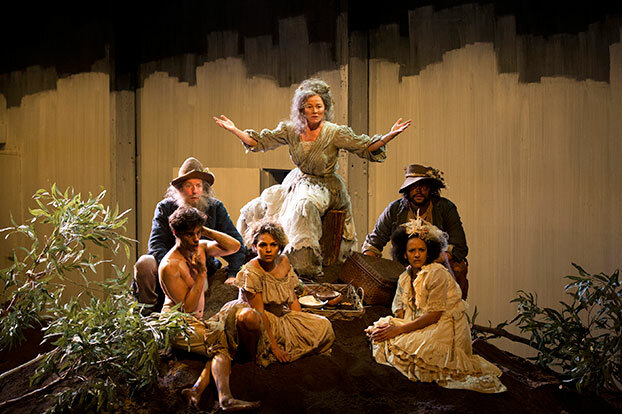 In the set, we’ve stripped things back to their most elemental – earth, water, fire – in order to give ourselves the room to find the play’s mythic qualities.